Kolimbithra. 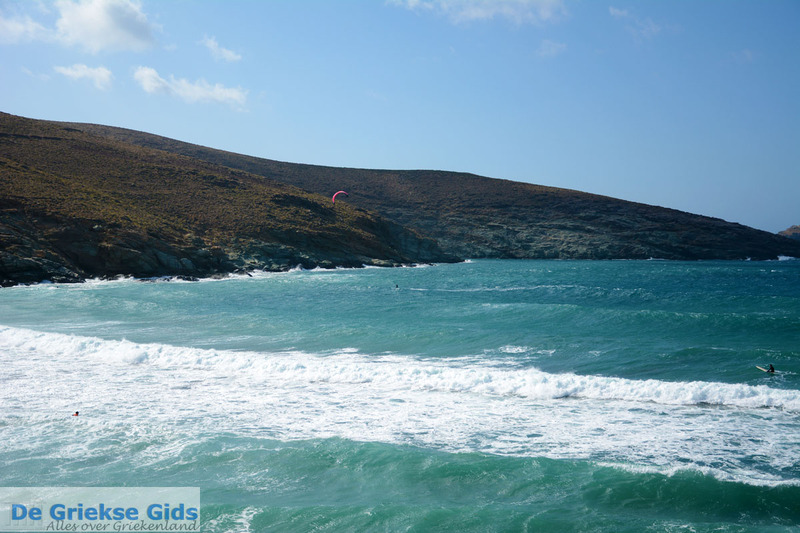 Kolimbithra (meaning baptistry) is a seaside town in the north of the island of Tinos. 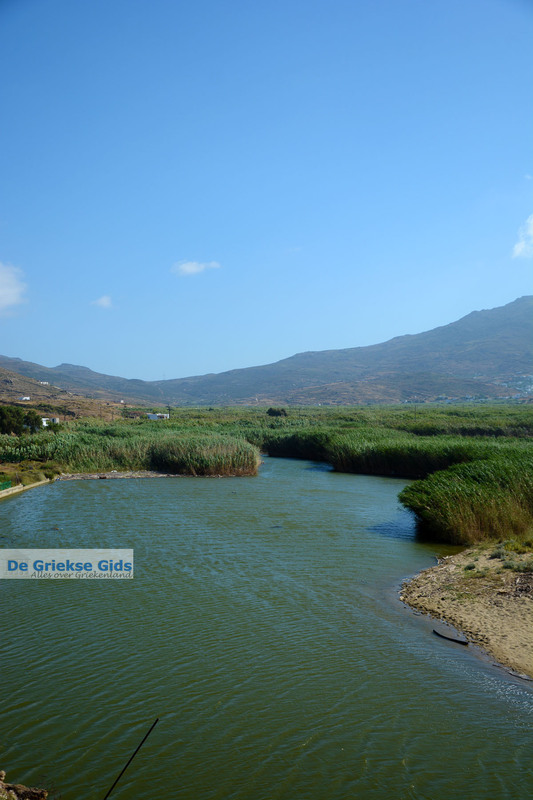 This village is located fourteen kilometers (9 mi) north of Tinos town, on the edge of the plain of Livadi. 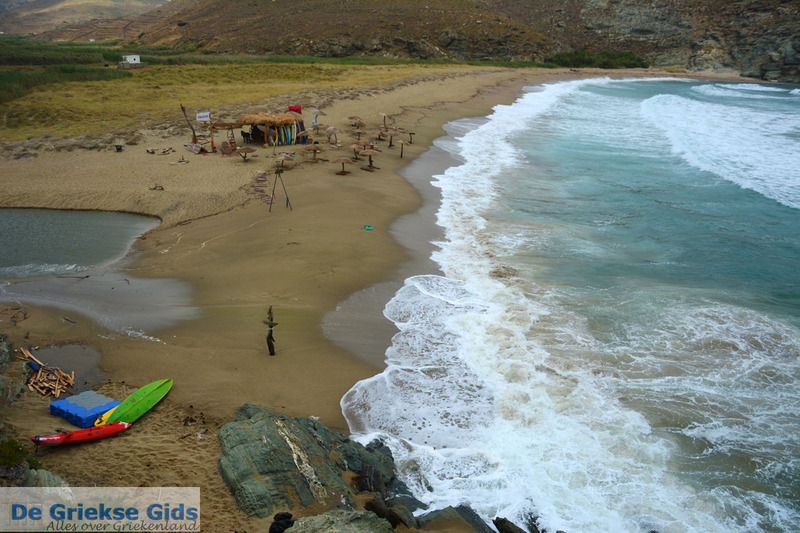 There is no real village, but two beautiful beaches in two adjacent bays. At the two bays are some hotels and rooms for rent. 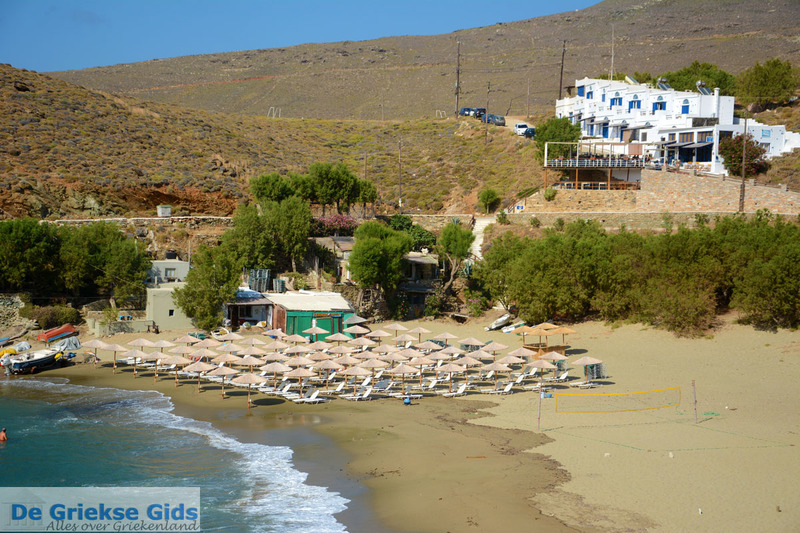 At the small beach, on a hill is a hotel that also has a restaurant serving delicious food. 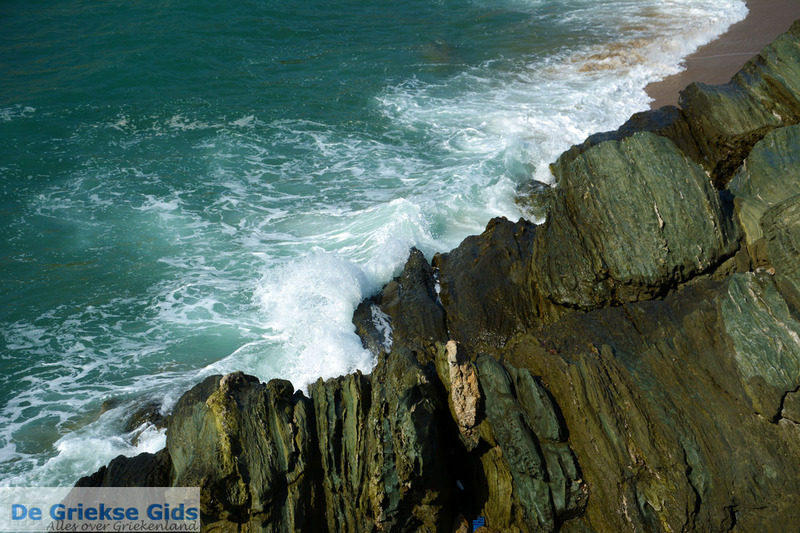 Here you’ll also enjoy the view over the sea. Most striking at Kolimbithra is that much water flows from the mountains, making the area a swamp. 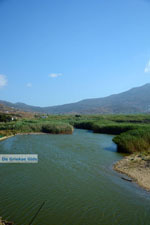 It is a wetland, a place where many migratory birds pass through. 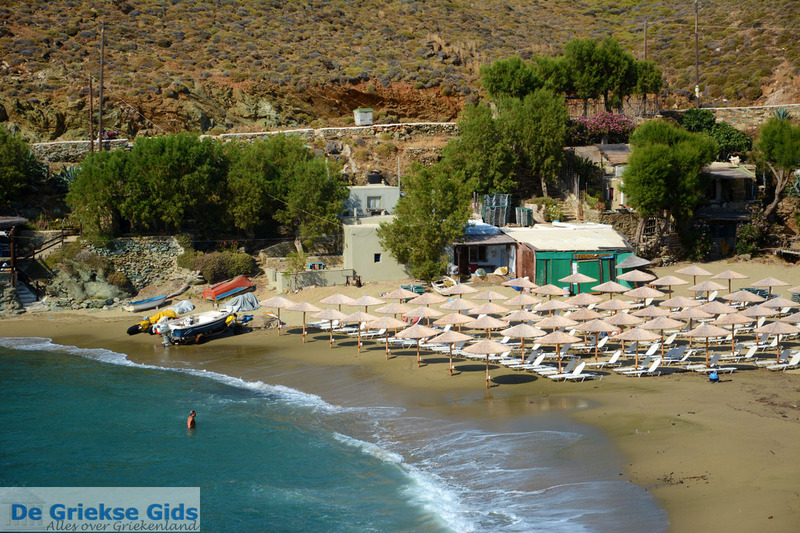 Both beaches of Kolimbithra have umbrellas and sunbeds for hire. 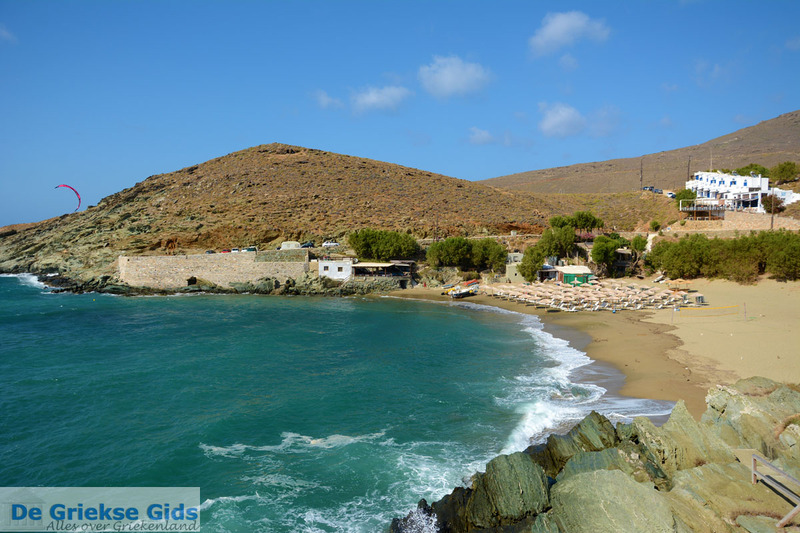 The smaller beach, Mikri Ammos, is the more beautiful of the two. 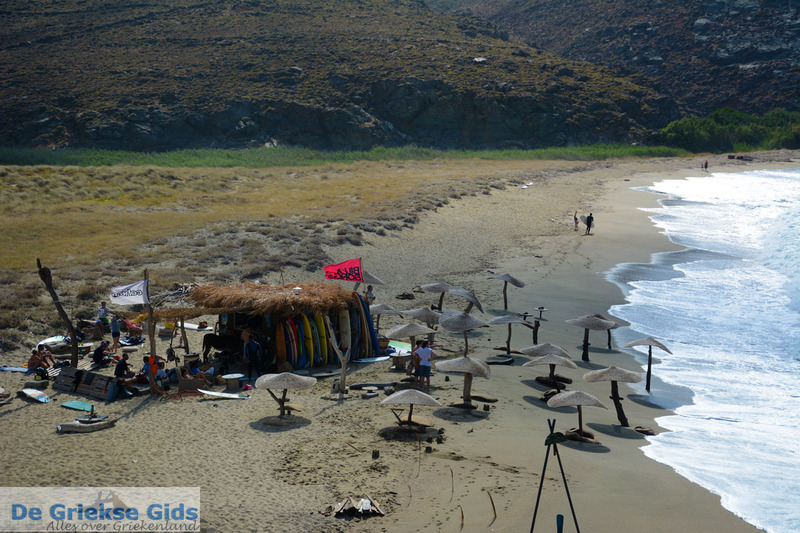 There is a taverna and a shop selling soft drinks and snacks. 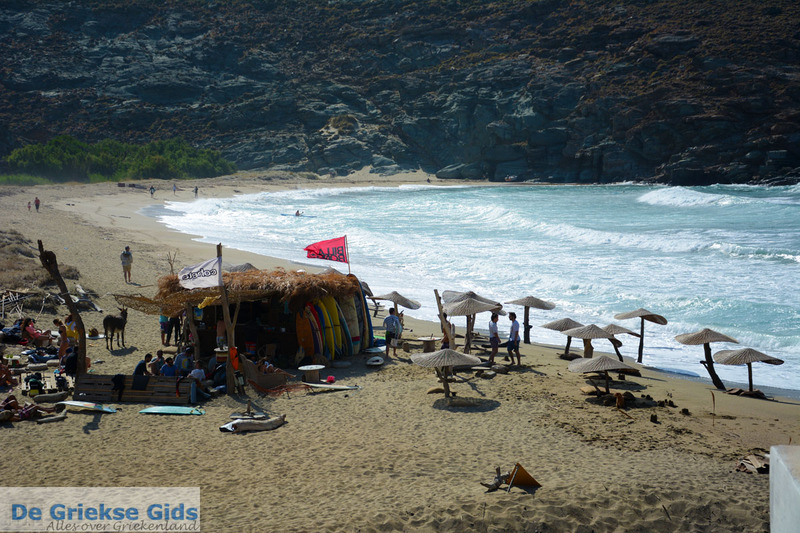 From this beach you can walk farther to the east, to several smaller bays, where you can swim away from the crowds. 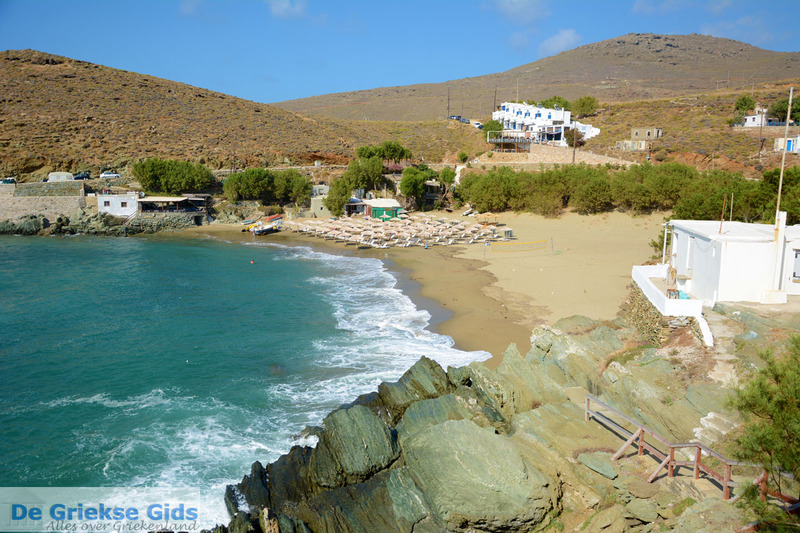 This region of Tinos is known throughout Greece for its delicious honey. 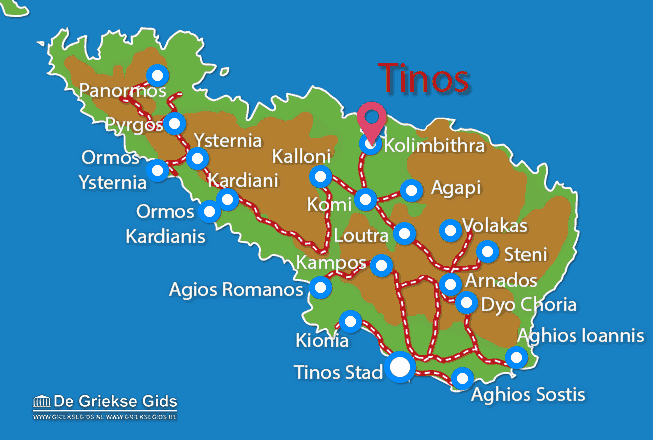 Tinos: Where on the map is Kolimbithra located?